Kent State takes Halloween seriously. What’s the best way to honor that intense enthusiasm for the holiday? A killer costume. Unfortunately, many students think a cool costume comes with a hefty price tag and subsequently opt for less-than-cutting-edge ensembles. So, we at A Magazine set out to create fashionable and culturally relevant costumes on a college-kid budget. For the horror enthusiast, Pennywise may seem like the obvious choice. But to strike a note of humor, dressing as the “IT” kids proves an entertaining alternative. Head to Goodwill and grab a striped, faded shirt (like the one pictured that cost $2.50), a pair of khaki shorts ($3) and goggle-glasses ($3). Top it off with a fanny pack from Walmart ($6) and an old cast to complete your look. For only $14.50, you too can join the Loser’s Club. 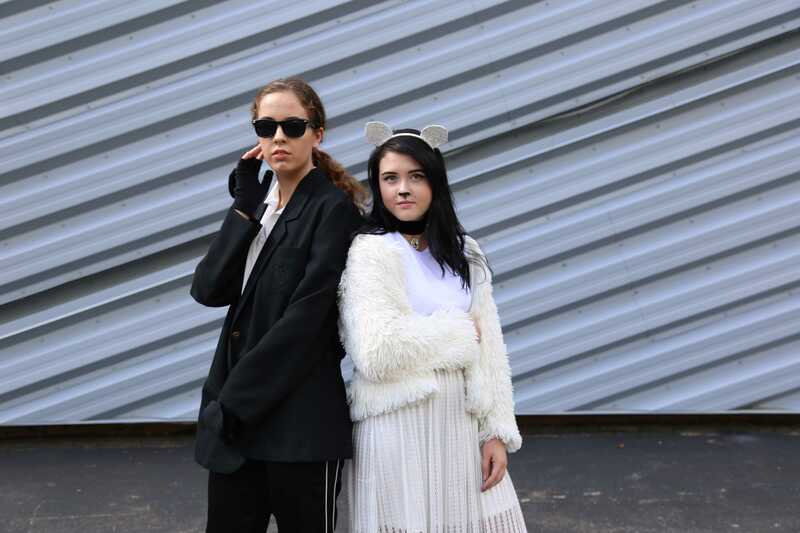 The fashionable dynamic duo can look to the king of couture, Karl Lagerfeld, and his darling feline, Choupette, to take a couple’s costume to a chic, new level. Pair a black suit jacket (Goodwill, $6) with black fingerless gloves (Walmart, $2), add some shades and slicked back hair, and you will look unmistakably like Karl. For Choupette, all you need are some white cat ears (Walmart, $2), a cute collar-like choker (Walmart, $5) and layers of everything white in your closet. 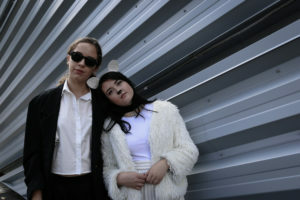 Karl Lagerfeld and Choupette would only cost $7 each, making this costume decidedly affordable. Finally, the omnipresent Kardashians. If you find yourself not only wanting to keep up with them, but to also be one for just one night, look no further. The youngest of their clan, Kylie Jenner, serves as the perfect Halloween muse. Wrap yourself in two yards of sparkly tulle (Walmart, $1.97/yard), layered on top of a slip ($1 Goodwill), and you’ll be looking like Kylie at the Met Gala. For only $4.94, you can have a DIY costume that’s completely unique. Wherever you find inspiration this Halloween, be it the terrifying, hilarious or provocative, your options may be more affordable than you realized. With the right mix of creativity and resourcefulness, your Halloween costume will make you stand out in a sea of partiers.